How do I add photos, video or sound to my notes? What 3rd party content sites does Findery currently support? Can I easily leave notes for specific members? How can I embed a public note elsewhere? How do I edit or delete my notes? Can I organize my notes? How do I add tags to my notes? How can I recenter the map to my current location? How can I make the map bigger? How can I see satellite images instead of maps? Are you going to send me email? How can I update my member settings? Where can I create my profile picture? The map thinks I'm somewhere I'm not. What's up with that? With Findery, you can find and leave notes around the world. Here are some of our favorite notes. Findery is made of notes. Notes can be stories, advice, jokes, diatribes, information, memories, facts, advertisements, love letters, grocery lists and manifestos. The content of a note is only limited by your imagination. A note can be shared with the world, one to one, or only with yourself. Clicking on the the "Leave a Note" link at the top of the page or the "Leave a Note Here" button at a place will begin the process. Any additional information you add to your note -- a photograph, tags, or a Place -- will only make it more better. Please be mindful of the privacy of others when you create and leave notes around the world. TIP: If you include an "@[Findery username]" within a note description or comment, we'll notify them of your mention. Click on the "Add Photo" or "Add Media" buttons on the note creation page to upload a photo from your computer or enter the URL from one of the 3rd party content sites we support. Paste the URL into the pop-up. You'll be able preview the content while you're creating the note. You may want to click play on the video or sound clip to ensure that the member who shared the content has enabled play on 3rd party sites. 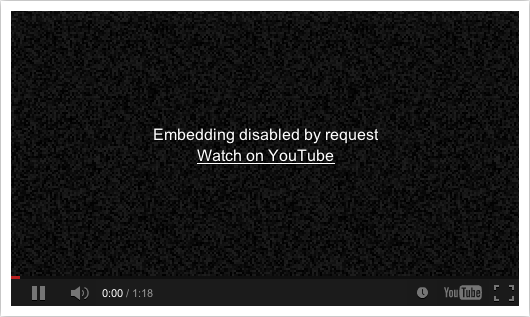 Some sites like YouTube and Flickr give their members the ability to disable embedding on 3rd party sites. In this instance, the content will not play or display on Findery. If there's a third party site you'd like us to consider supporting, send us an email: help@findery.com. Can I easily leave a private note for another member? From the "Findable by" menu on the Leave a Note page, choose "Recipient". Begin typing their username and you'll see a list of members who match your text. Click on the name of the member you'd like to leave the note for. The note will only be visible to that member. They will receive a notification that you've left a note for them and it will be available in their Private Notes on their member profile. You'll see these two buttons on public notes that will enable you to easily share on Facebook, Twitter, and anywhere you can share a URL. Copy the code that appears when you click the “Embed” button that’s available on any public note. Paste this code into your site or any 3rd party site that supports HTML iframe to display this note. The iframe defaults to 500 x 400 pixels with a single pixel grey border. If you’re comfortable editing HTML, you can change the size, border width and color to suit the design of the site you’ll be displaying the note on. Findery has been whitelisted for wordpress.com websites. To embed a note, paste the URL of your note on its own line and the note will automagically embed. TIP: If you change the width of the note to "100%", the embedded note will resize. This is useful for sites like Tumblr where you may have multiple views of your post. There's an "edit" and "delete" link just to the right of your profile picture on each note page. How do I change the location of my note? Once you've clicked the "edit" link for the note, enter the new address or lat long into the Go to Location box within the map. When you hit "GO", your map should move to this new location. The address field below is merely there to display an address on your note. How do I change the location of a Place? 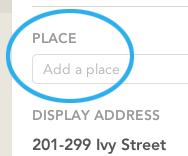 As no one "owns" a Place, you can't currently edit the location. You should remove the Place from your note and create a new Place with the same name and add your note to that. You can curate your own notes and the notes of others into notemaps. When you're on a creating or editing a note, click on the "Add to Notemap" button. You can select existing notemaps, search for your notemaps by name or create a new notemap. While creating or editing a note, type and then hit enter for each item that you'd like to be a tag. If one or more people create notes and add the same place, a Notes Place page will be automagically created. To add a place to your note, enter the info in the Place field when you create or edit your note. Our office, Pirates & Ninjas, is an example of a Place. Members of Team Findery have been contributing notes to this Place. 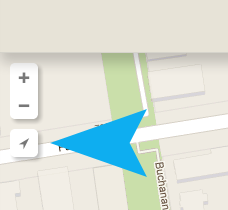 To add a note to an existing place, simply click on the "Leave Note Here" button on the Place page. How do I acces the Feed Importer? Book mark this link for easy access to our Feed Importer. What file types does the Feed Importer accept? Our feed importer currently accepts RSS. Look for an orange icon on your site. You can read more about RSS here. How do I use the Feed Importer? When you click the "Update" button, any content that's currently available in the feed will be pulled in. The Feed Importer doesn't currently de-dupe content and so you may re-pull content that you've already slurped into your feed. Click on the homing button under the +/- top right of every map. If you haven't allowed Findery to know your current location, you'll need to click "allow" first. With the exception of "Map" you can embiggen any map on Findery by pulling down on the grey bar that separates the map from the content area. You'll notice that your cursor will change to a resize handle. Click and drag the resize handle down. Voila, bigger map! Select the "Map" drop down menu at top right of the map and change to satellite. If you are a Findery member, you "find" notes when you view them. Your profile picture will appear under "Found by" on that note. Notes can be unfound. Eep! Can I "unfind" something? 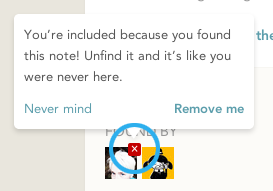 If you've stumbled across a note that for whatever reason, you'd rather have not "found", you can "unfind" by mousing over your profile picture at the bottom of the note. How is the public note view count calculated? We began counting views on public notes on November 1, 2012, 2:30 PM PDT. Views on individual note pages and list views (member profile, notemap pages, etc.) are counted for both members and visitors to the site. If you visit a note multiple times, each visit increments the view count. What's flowing through my "Recent Activity"? Depending on what tab you select, you'll either see activity related to "You" (new follow notifications, or activity around your notes), the members you follow -- “Following”, or "All activity" -- every new public note. If a member as included 3rd party content, you'll see the icon from that site in the notification. 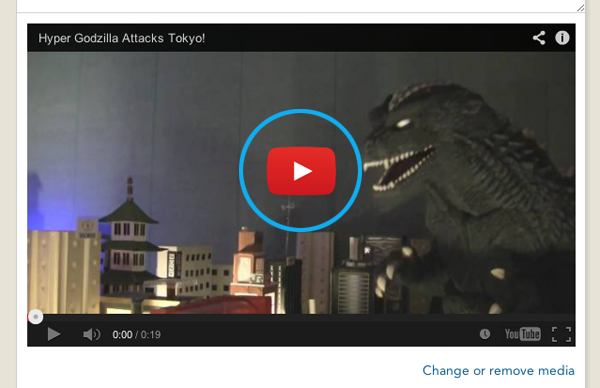 We're working to include a thumbnail of the content. Findery is now available on iOS, Android and Windows. We currently support recent versions of Firefox, Safari and Chrome. We support IE9 and previous versions through Chrome Frame. You can invite your friends from within your settings. You can tailor what Recent Activity notifications you receive in email via your Notifications settings page. You may also want to sign up to receive occasional newsletters from us. We promise not to flood your inbox with unwanted email. We've implemented a few limits around Findery to ensure site performance and prevent spam. It's unlikely that you'll bump into these as you make your way through the Findery universe. To avoid any unwanted surprises, you will see inline feedback if you're getting close. Mouse over your name at the top of the site and select "Settings" to personalize your profile, add your profile picture, tweak your notification emails and connect with your Facebook and Twitter accounts to find and follow your friends. If a lovely lantern isn't you, you can personalize your profile picture here. Your vanity URL is created from your username. If you change your username, then your vanity URL will change as well. Please note, that if you elect to change your username/vanity URL, there's a chance that someone might come in after you and select it. There's a link at the bottom of your Settings page that leads to Delete my account. Please note that account deletion is permanent. All of your content will be removed from Findery and your username will be made immediately made available for someone else to register. We'll be hooking account deletion up to mobile web in the near future. In the meantime, you'll need to delete your account via the website. Your computer doesn't have a GPS receiver and so we're taking our best guess as to where you're located the first time you visit Findery. Chances are, it's down the street and a few blocks over from where you're sitting. When you come back, your map will be just where you left it. Please feel free to contact us at help@findery.com. Include as much information as you can with your email: your username, what browser/platform, mobile device, a detailed description of what's going awry. The more information we have, the more likely we'll be able to help you on your way. We look forward to finding your notes!